Hue Jackson Fondly Remembers The Time Baker Mayfield Went "Hee Hee!" This is the time of year when NFL coaches and talent evaluators are scrambling to find that one big insight that will reveal to them which incoming rookies are destined to be stars. Does hand size hold the key? Bench press reps? Polite manners? 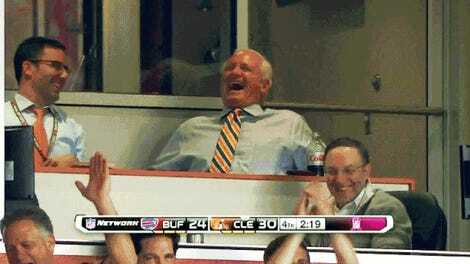 Browns head coach Hue Jackson has found something else: the ability to make funny noises.